We treat our patients like family. We value and respect that you have chosen to put your dental needs in our hands, and we promise to always honour the trust you put in us. 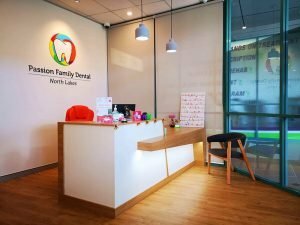 We understand that going to the dentist can be a nervous experience for some people; sometimes this fear means that you have not visited a dentist in a long time. You may be even too embarrassed to show us your mouth. Please don’t let this fear stop you from visiting us. You are the very patient we love to work with. Helping a nervous patient work through their treatment is one of the most rewarding aspects of our job. Seeing your beautiful smile at the end of the treatment or holding your hand and talking you through every step of a filling, this is why we like to come to work every day. We take time to listen to our patients, to understand your concerns, needs and wants. Our appointments are never rushed or stressed and we spend time explaining issues and treatment options. We never push treatment on to our patients. We give you advice on what treatment options you have and explain their advantages and disadvantages. You can then confidently make the decision that is best suited to you and your budget without any sales pressure. You are the one in control. If at any time during treatment you feel in the least bit uncomfortable or need a break, simply raise your hand and we will stop work immediately and give you a break or make any necessary adjustments. Your comfort is our priority. We have designed our practice to look and feel like a place you would go to and have fun and enjoy yourself. Clinically, our patients can trust that we meet (and often go above) the standards set out by the Australian Dental Association, including infection control and cross contamination protocols. Our practice is equipped with the latest sterilization equipment. We strive to ensure that we are always up to date with our equipment (including their maintenance and calibration) as well as our methods and techniques. You can relax knowing that you are in safe hands with us. Many times, patients shop around for a dentist that costs the least. You need to ask yourself how can there can be such a big difference on prices for the same treatment? The answer is simple – it isn’t the same treatment! Just like when we shop for a new handbag or pair of shoes or eat in a fast food restaurant compared to fine dining; the less you pay the lower the quality of product. At Passion Family Dental we believe we have found the happy medium between cheap and nasty and putting gold fillings in all your teeth! We provide high quality treatment and services all at a reasonable cost. We only use materials of high quality ensuring that our patients only receive dental work that not only looks great but is also durable. Our clinicians take their time with our patients; our treatments are never hurried or rushed, we take any time that is required to deliver a beautiful filling or thorough clean. We promise our patients that we will provide for them a dental service that they will be happy and confident with. Our goal is that every patient and staff member that walks out our door. leaves smiling and feeling satisfied, and are looking forward to their next visit. 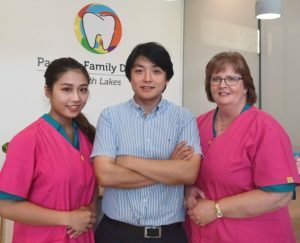 Discover more about Passion Family Dental North Lakes. Visit our About Us page.